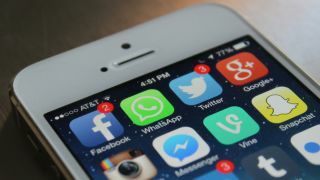 Facebook's recently acquired WhatsApp messaging service can now boast an active user base of half a billion people, little over five years after its inception. Since the blockbuster $19 billion (about £11.2bn, AU$20.2bn) acquisition in February - the second largest in tech history - the app has gained an additional 50 million users. In a blog post, the firm said a whopping 700 photos and 100 million users are now being shared every day, while international growth is at its highest in territories like Russia, Brazil, Mexico and India. "We could go on," WhatsApp boasted, "but for now, it's more important that we get back to work – because here at WhatsApp, we're just getting started." Ironically, WhatsApp has proven such a phenomenon that it has been able to reach the landmark before its new masters, which took six years to reel in as many members. If growth continues at this pace, not only will WhatsApp fulfill Mark Zuckerberg's billion-user prophecy, but it will do so faster than Facebook. The rumoured addition of voice calling should spur further adoption, while WhatsApp is central to Zuck's Internet.org plans to bring connectivity to the billions around the world without access. Could we someday see an eventuality where WhatsApp has more users than Facebook? Analysis: Why did Facebook buy WhatsApp?